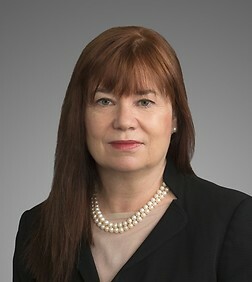 Geraldine Freeman is a partner in the San Francisco office and former Practice Leader of the Finance and Bankruptcy Practice Group where she specializes in bankruptcy, workouts, enforcement of creditors' rights and remedies, finance and real estate. She serves on the firm’s Executive Committee. Geraldine represents a wide range of clients in connection with the acquisition, disposition and resolution of troubled assets, both inside and outside of court proceedings. She also represents real estate investors and equity sponsors in preferred equity transactions involving ownership and development of real estate assets. Represented state court receiver in connection with the management and control of over 5,000 FCC licenses. Represented institutional investor in preferred equity transactions involving multifamily real estate projects in California and Washington. Represented agent bank as lead counsel in the workout of a defaulted loan to a government contractor with ongoing projects around the globe, resulting in the payment in full of the credit obligations. Represented agent bank as lead counsel in the workout, bankruptcy, enforcement of creditors' rights and lien priority litigation, involving multiple loans made to a large residential home builder with partially completed housing projects throughout the Central Valley of California. Represented a public REIT in connection with the funding of a cram down plan of reorganization pursuant to which it acquired a majority and controlling interest in a Chapter 11 debtor, which owned a 12-acre parcel located in Silicon Valley and suitable for development as a multi-family residential and retail project. Represented defendants in multimillion dollar preference and fraudulent transfer proceedings brought by bankruptcy trustee, resulting in very favorable settlements. Represented Chapter 11 Trustee as lead counsel in the bankruptcy of a national art gallery, including in the successful appeal of the order approving the Trustee's plan of reorganization. Represented a public REIT as lender and investor in the documentation and workout (leading to a change in control) of a mezzanine loan and equity investment made to finance a multi-use development project in downtown Los Angeles, also financed with multiple bond issuances. Represented the lender in a workout and eventual mixed collateral foreclosure sale of a time-share resort located in Napa Valley. Represented a group of equipment lessors in the Chapter 11 case of Excite At Home, including as lead counsel in an action filed by the equipment lessors against the bondholders to enforce subordination provisions in the trust indenture, and in an action filed against the equipment lessors challenging their status as equipment lessors under the Bankruptcy Code. Also served as lead counsel to the equipment lessors in the negotiation of a plan of reorganization with multiple constituencies, and in the preparation and implementation of a distribution agreement among the equipment lessors to govern distribution among the group of $100 million in plan payments received by the equipment lessors and the distribution of all the leased equipment of Excite At Home located in hundreds of sites across Canada and the U.S. which was abandoned to the equipment lessors pursuant to the plan. Represented the independent members of the board of directors of a large international automotive parts company in connection with the insolvency and Chapter 11 bankruptcy of the company.